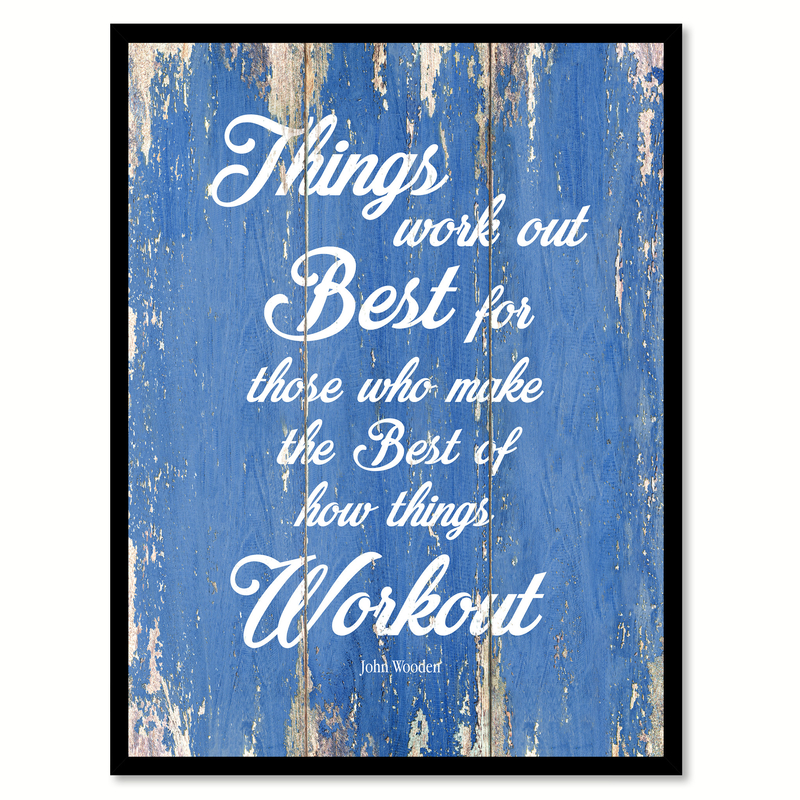 $129.99 - Things Work Out Best For Those Who Make The Best Of How Things Workout Saying Canvas Print with Picture Frame Home Decor Wall Art Gifts - 7\"x9\"
Home Home & Garden > Decor > Artwork > Posters, Prints, & Visual Artwork Things Work Out Best For Those Who Make The Best Of How Things Workout Saying Canvas Print with Picture Frame Home Decor Wall Art Gifts - 7\"x9\"
Things Work Out Best For Those Who Make The Best Of How Things Workout Saying Canvas Print with Picture Frame Home Decor Wall Art Gifts - 7\"x9\"
Things Work Out Best For Those Who Make The Best Of How Things Workout - John Wooden saying framed art print is the perfect gift, or trendy update to any home or office space. An excellent addition to your classical design concept in your kitchen, bathroom, bedroom, man cave, game room, living room, or studio! SpotColorArt is a shop that specializes in Home Decor, we create handmade art for every budget. Perfect for Gift Ideas, Birthday, Housewarming, Restaurant, New Move In, Grand Opening, Bar, Office Decor, Wall Decor, Interior Decoration, Souvenir, and Home Decoration. Beautiful Giclee prints on canvas with custom picture frame for all your interior decoration needs. Update your home decor with modern, vintage, rustic, midcentury, classic, shabby chic, works of art to fit any design motif! 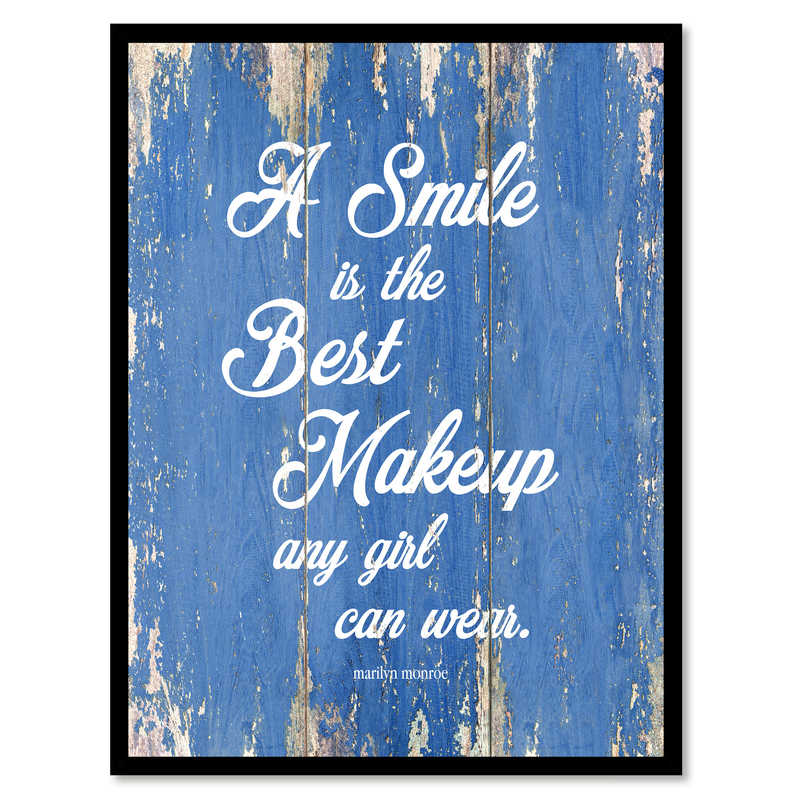 All our wall art is available in a wide variety of colors, and sizes. We accept orders of Small or Large quantities. Design inspired by Inspirational, Positivity, Motivation, Relatable, Spiritual, Smart, Witty, Funny, Happy, Success, Truth, Hope, Faith, Text, Meme, Different, Philosophy, Love, Friend, Family. Shipping Information Every item is made to order, and will be shipped out within 2-5 business days upon successful payment. SpotColorArt carefully handle all of our items to be safe to ship. 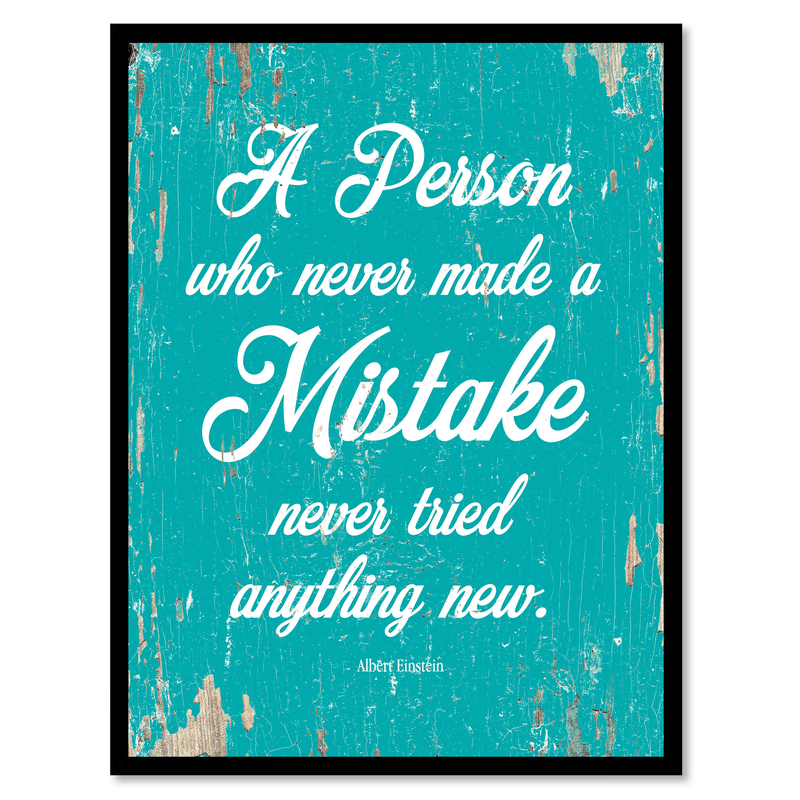 A Person Who Never Made A Mistake Albert Einstein Quote Saying Canvas Print with Picture Frame Home Decor Wall Art Gifts 111663 - 7\"x9\"
Our uniquely designed A Person Who Never Made A Mistake Never Tried Anything New - Albert Einstein saying framed art print is the perfect gift, or trendy update to any home or office space. An excellent addition to your classical design concept in your kitchen, bathroom, bedroom, man cave, game room, living room, or studio! SpotColorArt is a shop that specializes in Home Decor, we create handmade art for every budget. Perfect for Gift Ideas, Birthday, Housewarming, Restaurant, New Move In, Grand Opening, Bar, Office Decor, Wall Decor, Interior Decoration, Souvenir, and Home Decoration. Beautiful Giclee prints on canvas with custom picture frame for all your interior decoration needs. 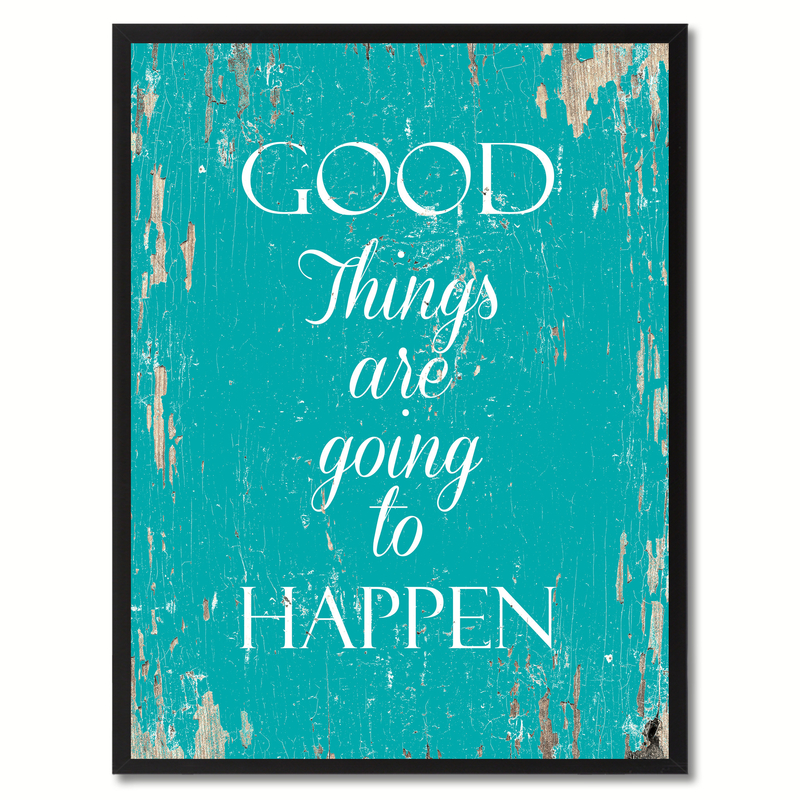 Update your home decor with modern, vintage, rustic, midcentury, classic, shabby chic, works of art to fit any design motif! 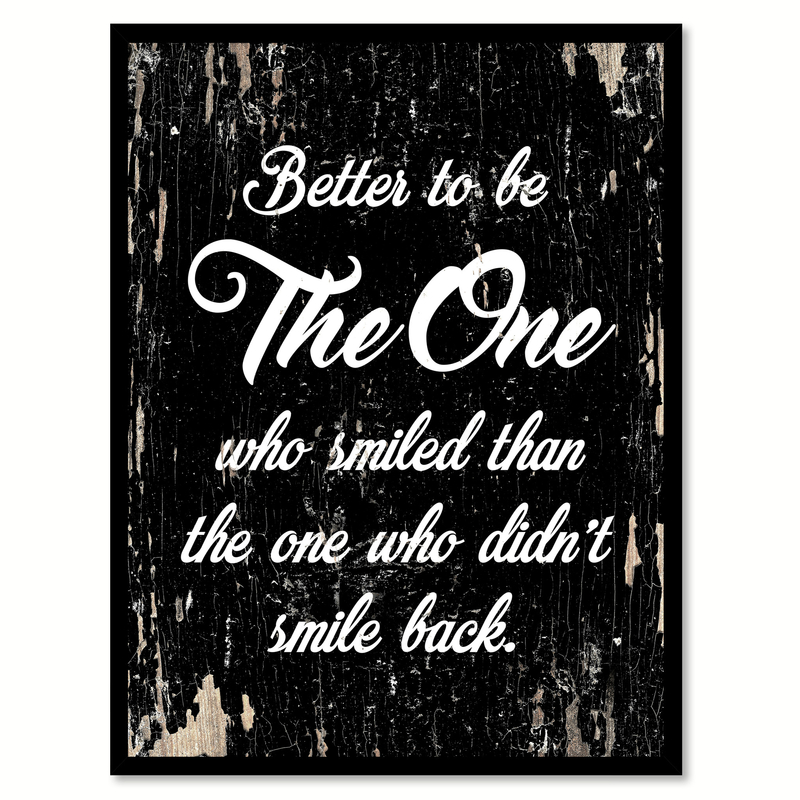 All our wall art is available in a wide variety of colors, and sizes. We accept orders of Small or Large quantities. Design inspired by Inspirational, Positivity, Motivation, Relatable, Spiritual, Smart, Witty, Funny, Happy, Success, Truth, Hope, Faith, Text, Meme, Different, Philosophy, Love, Friend, Family. Shipping Information Every item is made to order, and will be shipped out within 2-5 business days upon successful payment. SpotColorArt carefully handle all of our items to be safe to ship. 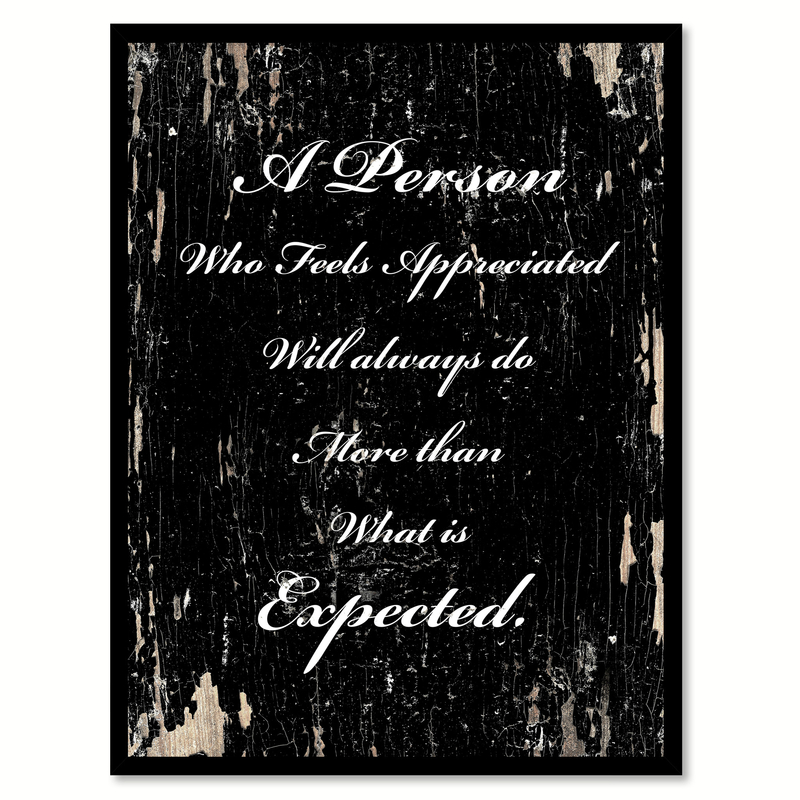 A Person Who Never Made A Mistake Albert Einstein Quote Saying Canvas Print with Picture Frame Home Decor Wall Art Gift Ideas 111435 - 7\"x9\"
Our uniquely designed A Person Who Feels Appreciated Will Always Do More Than What Is Expected saying framed art print is the perfect gift, or trendy update to any home or office space. An excellent addition to your classical design concept in your kitchen, bathroom, bedroom, man cave, game room, living room, or studio! SpotColorArt is a shop that specializes in Home Decor, we create handmade art for every budget. Perfect for Gift Ideas, Birthday, Housewarming, Restaurant, New Move In, Grand Opening, Bar, Office Decor, Wall Decor, Interior Decoration, Souvenir, and Home Decoration. Beautiful Giclee prints on canvas with custom picture frame for all your interior decoration needs. Update your home decor with modern, vintage, rustic, midcentury, classic, shabby chic, works of art to fit any design motif! 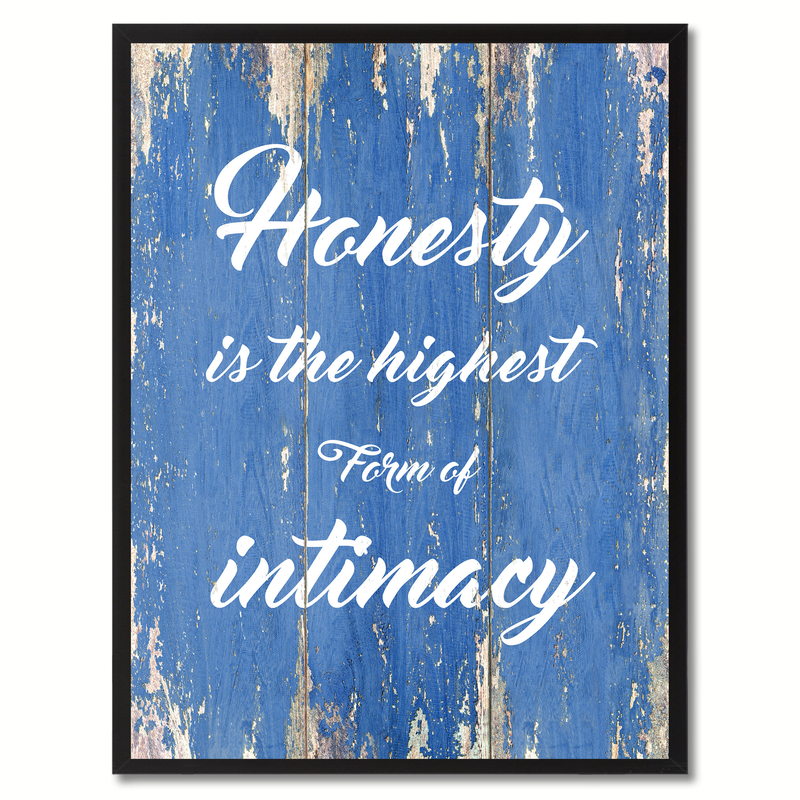 All our wall art is available in a wide variety of colors, and sizes. We accept orders of Small or Large quantities. Design inspired by Inspirational, Positivity, Motivation, Relatable, Spiritual, Smart, Witty, Funny, Happy, Success, Truth, Hope, Faith, Text, Meme, Different, Philosophy, Love, Friend, Family. Shipping Information Every item is made to order, and will be shipped out within 2-5 business days upon successful payment. SpotColorArt carefully handle all of our items to be safe to ship. 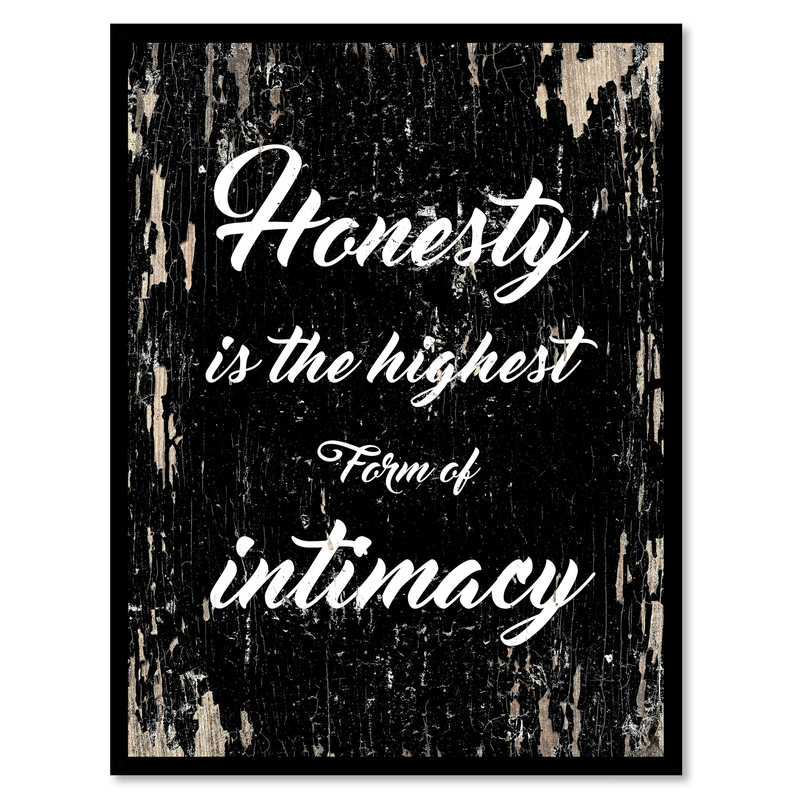 A Person Who Never Made A Mistake Albert Einstein Quote Saying Canvas Print with Picture Frame Home Decor Wall Art Gift Ideas 111437 - 7\"x9\"
Honesty Is The Highest Form Of Intimacy Inspirational Saying Canvas Print with Picture Frame Home Decor Wall Art Gifts - 7\"x9\"
Our uniquely designedHonesty Is The Highest Form Of Intimacy Inspirationalsaying framed art print is the perfect gift, or trendy update to any home or office space. An excellent addition to your classical design concept in your kitchen, bathroom, bedroom, man cave, game room, living room, or studio! SpotColorArt is a shop that specializes in Home Decor, we create handmade art for every budget. Perfect for Gift Ideas, Birthday, Housewarming, Restaurant, New Move In, Grand Opening, Bar, Office Decor, Wall Decor, Interior Decoration, Souvenir, and Home Decoration. Beautiful Giclee prints on canvas with custom picture frame for all your interior decoration needs. 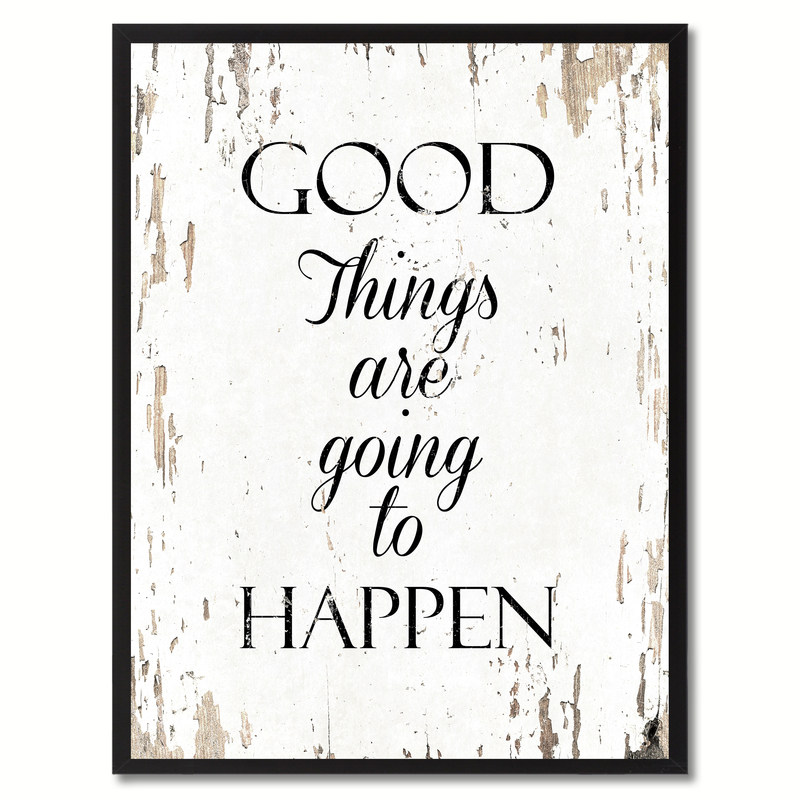 Update your home decor with modern, vintage, rustic, midcentury, classic, shabby chic, works of art to fit any design motif! 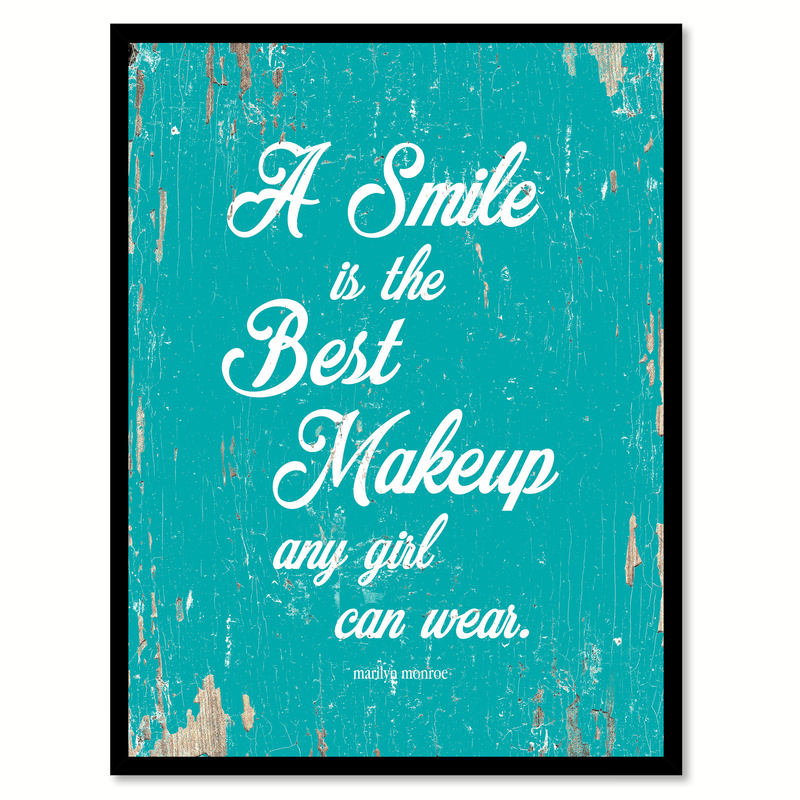 All our wall art is available in a wide variety of colors, and sizes. We accept orders of Small or Large quantities. Design inspired by Inspirational, Positivity, Motivation, Relatable, Spiritual, Smart, Witty, Funny, Happy, Success, Truth, Hope, Faith, Text, Meme, Different, Philosophy, Love, Friend, Family. Shipping Information Every item is made to order, and will be shipped out within 2-5 business days upon successful payment. SpotColorArt carefully handle all of our items to be safe to ship. 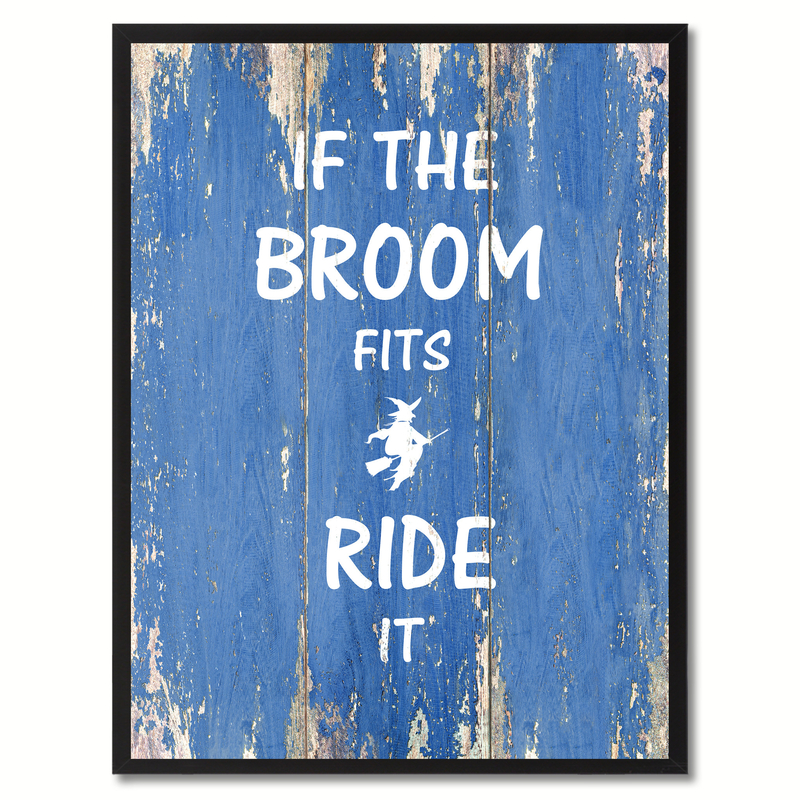 If The Broom Fits Ride It Motivation Saying Canvas Print with Picture Frame Home Decor Wall Art Gifts - 7\"x9\"
Our uniquely designedIf The Broom Fits Ride It Motivationsaying framed art print is the perfect gift, or trendy update to any home or office space. An excellent addition to your classical design concept in your kitchen, bathroom, bedroom, man cave, game room, living room, or studio! SpotColorArt is a shop that specializes in Home Decor, we create handmade art for every budget. Perfect for Gift Ideas, Birthday, Housewarming, Restaurant, New Move In, Grand Opening, Bar, Office Decor, Wall Decor, Interior Decoration, Souvenir, and Home Decoration. Beautiful Giclee prints on canvas with custom picture frame for all your interior decoration needs. 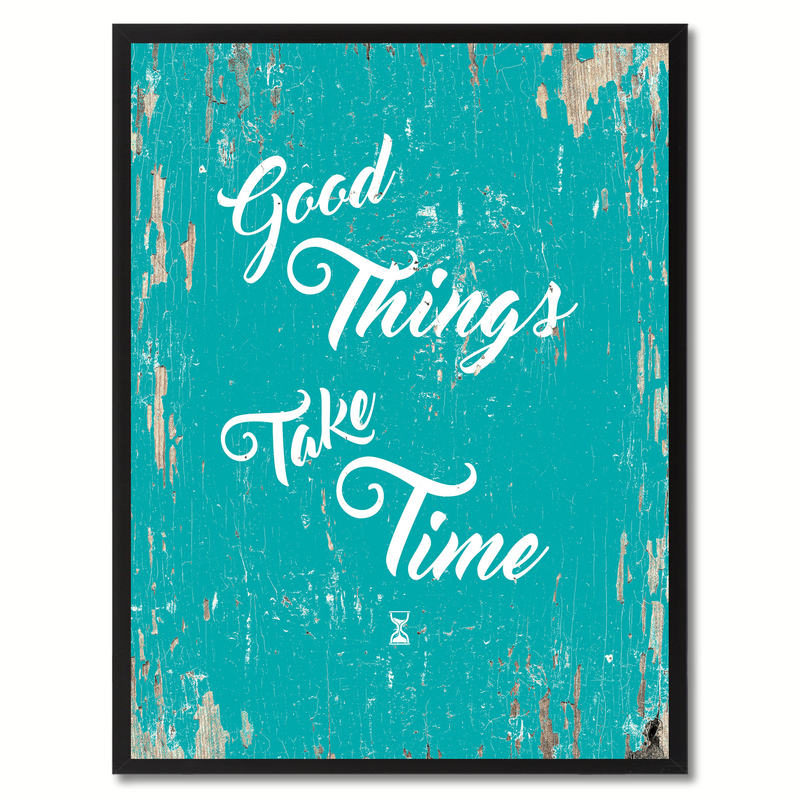 Update your home decor with modern, vintage, rustic, midcentury, classic, shabby chic, works of art to fit any design motif! 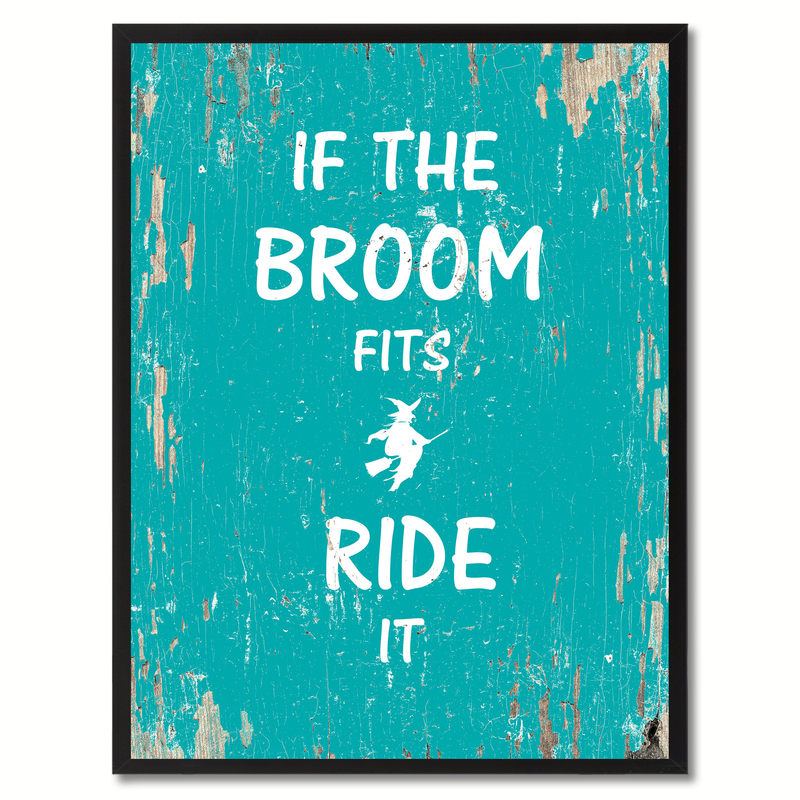 All our wall art is available in a wide variety of colors, and sizes. We accept orders of Small or Large quantities. Design inspired by Inspirational, Positivity, Motivation, Relatable, Spiritual, Smart, Witty, Funny, Happy, Success, Truth, Hope, Faith, Text, Meme, Different, Philosophy, Love, Friend, Family. Shipping Information Every item is made to order, and will be shipped out within 2-5 business days upon successful payment. SpotColorArt carefully handle all of our items to be safe to ship. 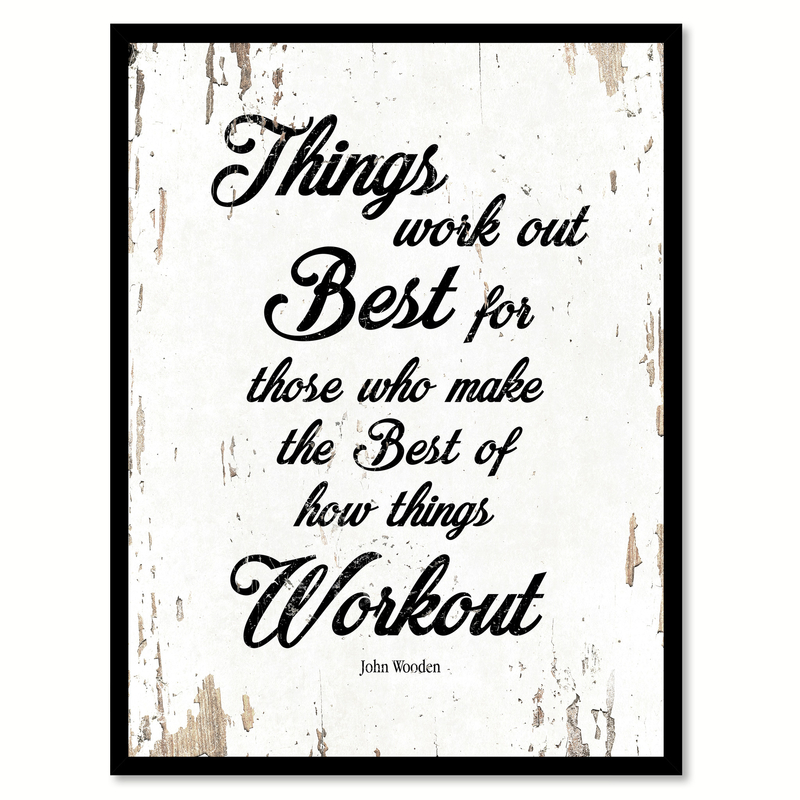 Honesty Is The Highest Form Of Intimacy Inspirational Saying Canvas Print with Picture Frame Home Decor Wall Art Gifts - 7\" x 9\"
Things Work Out Best For Those Who Make The Best Of How Things Workout Picture Frame Home Decor Wall Art Gifts - 7\"x9\"
Things Work Out Best For Those Who Make The Best Of How Things Workout - John Wooden Picture Frame Home Decor Wall Art Gifts - 7\"x9\"
Better To Be The One Who Smiled Than The One Quote Saying Canvas Print with Picture Frame Home Decor Wall Art Gifts 111975 - 7\"x9\"
Our uniquely designedBetter To Be The One Who Smiled Than The Onesaying framed art print is the perfect gift, or trendy update to any home or office space. An excellent addition to your classical design concept in your kitchen, bathroom, bedroom, man cave, game room, living room, or studio! SpotColorArt is a shop that specializes in Home Decor, we create handmade art for every budget. Perfect for Gift Ideas, Birthday, Housewarming, Restaurant, New Move In, Grand Opening, Bar, Office Decor, Wall Decor, Interior Decoration, Souvenir, and Home Decoration. Beautiful Giclee prints on canvas with custom picture frame for all your interior decoration needs. Update your home decor with modern, vintage, rustic, midcentury, classic, shabby chic, works of art to fit any design motif! 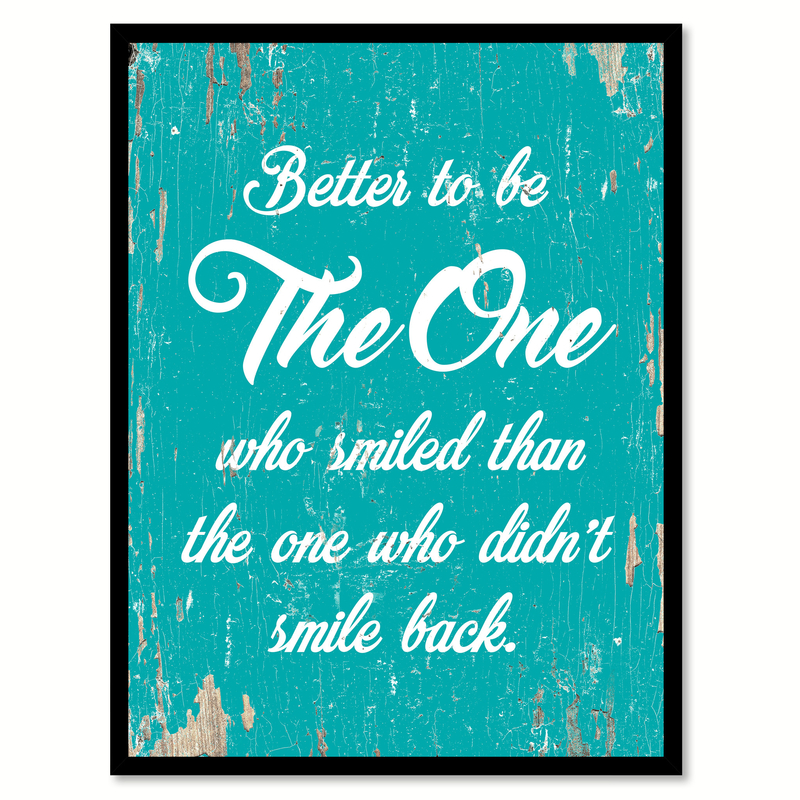 All our wall art is available in a wide variety of colors, and sizes. We accept orders of Small or Large quantities. Design inspired by Inspirational, Positivity, Motivation, Relatable, Spiritual, Smart, Witty, Funny, Happy, Success, Truth, Hope, Faith, Text, Meme, Different, Philosophy, Love, Friend, Family. Shipping Information Every item is made to order, and will be shipped out within 2-5 business days upon successful payment. SpotColorArt carefully handle all of our items to be safe to ship. 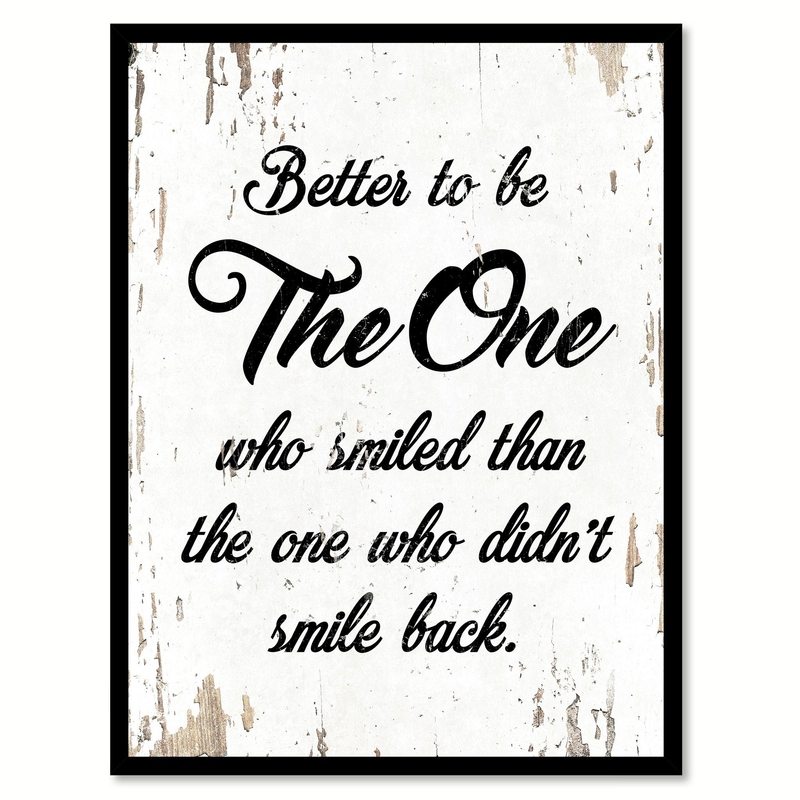 Better To Be The One Who Smiled Than The One Quote Saying Canvas Print with Picture Frame Home Decor Wall Art Gifts 111701 - 7\"x9\"
Better To Be The One Who Smiled Than The One Quote Saying Canvas Print with Picture Frame Home Decor Wall Art Gifts 121780 - 7\"x9\"
Better To Be The One Who Smiled Than The One Quote Saying Canvas Print with Picture Frame Home Decor Wall Art Gifts 111702 - 7\"x9\"
Good Things Are Going To Happen Motivation Saying Canvas Print with Picture Frame Home Decor Wall Art Gifts - 7\"x9\"
Our uniquely designedGood Things Are Going To Happen Motivationsaying framed art print is the perfect gift, or trendy update to any home or office space. An excellent addition to your classical design concept in your kitchen, bathroom, bedroom, man cave, game room, living room, or studio! SpotColorArt is a shop that specializes in Home Decor, we create handmade art for every budget. Perfect for Gift Ideas, Birthday, Housewarming, Restaurant, New Move In, Grand Opening, Bar, Office Decor, Wall Decor, Interior Decoration, Souvenir, and Home Decoration. Beautiful Giclee prints on canvas with custom picture frame for all your interior decoration needs. Update your home decor with modern, vintage, rustic, midcentury, classic, shabby chic, works of art to fit any design motif! 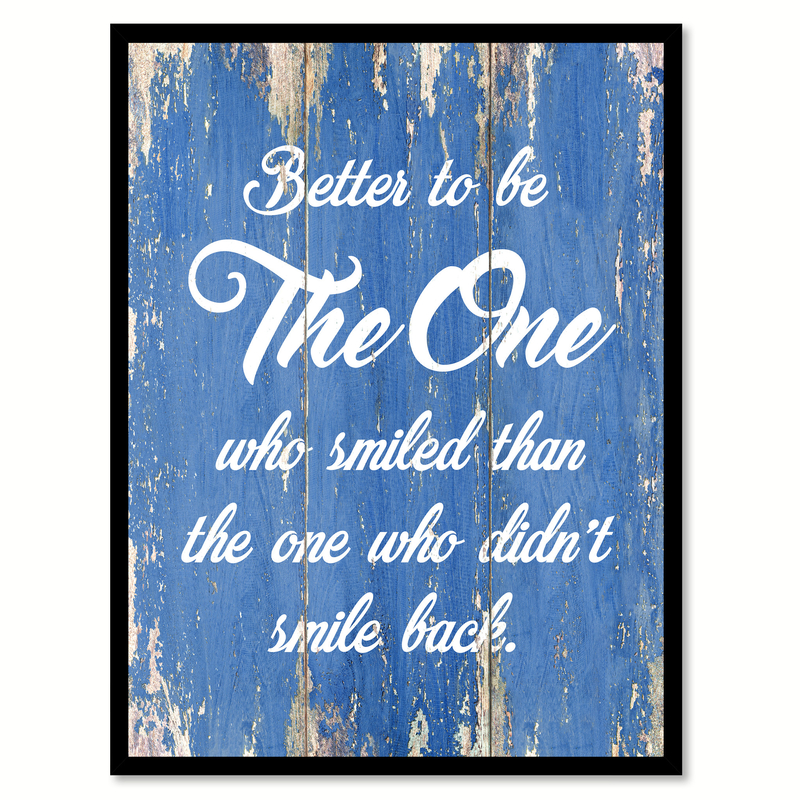 All our wall art is available in a wide variety of colors, and sizes. We accept orders of Small or Large quantities. Design inspired by Inspirational, Positivity, Motivation, Relatable, Spiritual, Smart, Witty, Funny, Happy, Success, Truth, Hope, Faith, Text, Meme, Different, Philosophy, Love, Friend, Family. Shipping Information Every item is made to order, and will be shipped out within 2-5 business days upon successful payment. SpotColorArt carefully handle all of our items to be safe to ship. 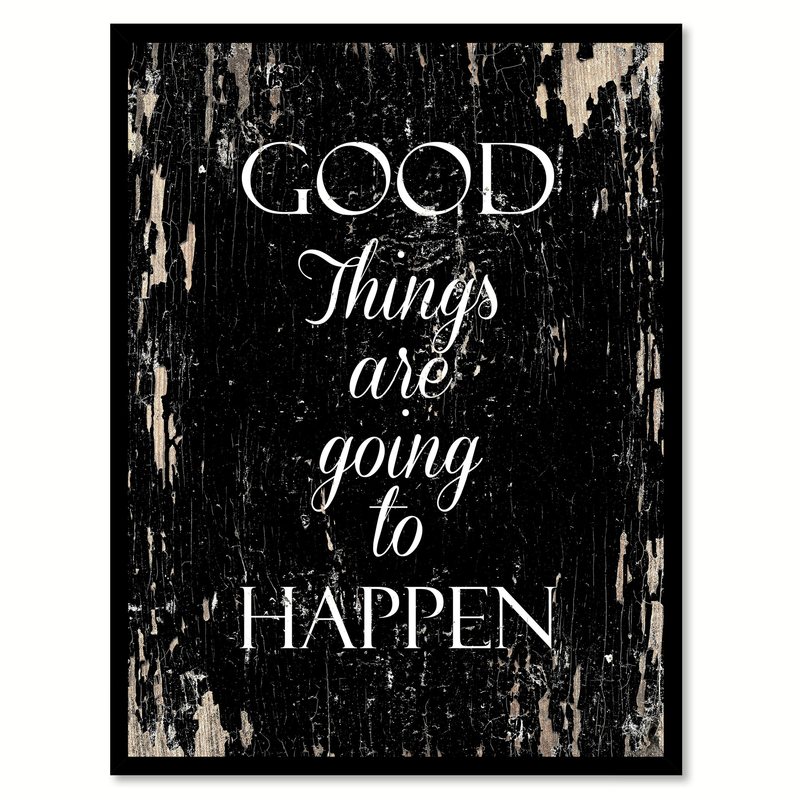 Good Things Are Going To Happen Motivation Saying Canvas Print with Picture Frame Home Decor Wall Art Gifts - 7\" x 9\"
A Smile Is The Best Makeup Marilyn Monroe Quote Saying Canvas Print with Picture Frame Home Decor Wall Art Gifts 111936 - 7\"x9\"
Our uniquely designed A Smile Is The Best Makeup Any Girl Can Wear - Marilyn Monroe saying framed art print is the perfect gift, or trendy update to any home or office space. An excellent addition to your classical design concept in your kitchen, bathroom, bedroom, man cave, game room, living room, or studio! SpotColorArt is a shop that specializes in Home Decor, we create handmade art for every budget. 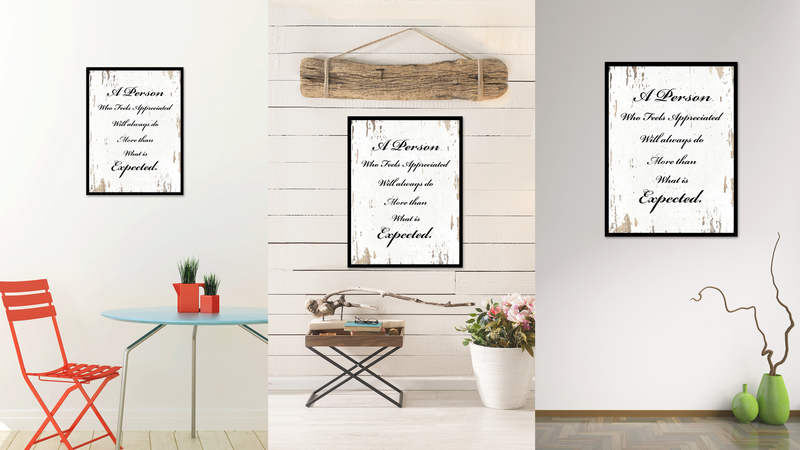 Perfect for Gift Ideas, Birthday, Housewarming, Restaurant, New Move In, Grand Opening, Bar, Office Decor, Wall Decor, Interior Decoration, Souvenir, and Home Decoration. Beautiful Giclee prints on canvas with custom picture frame for all your interior decoration needs. Update your home decor with modern, vintage, rustic, midcentury, classic, shabby chic, works of art to fit any design motif! 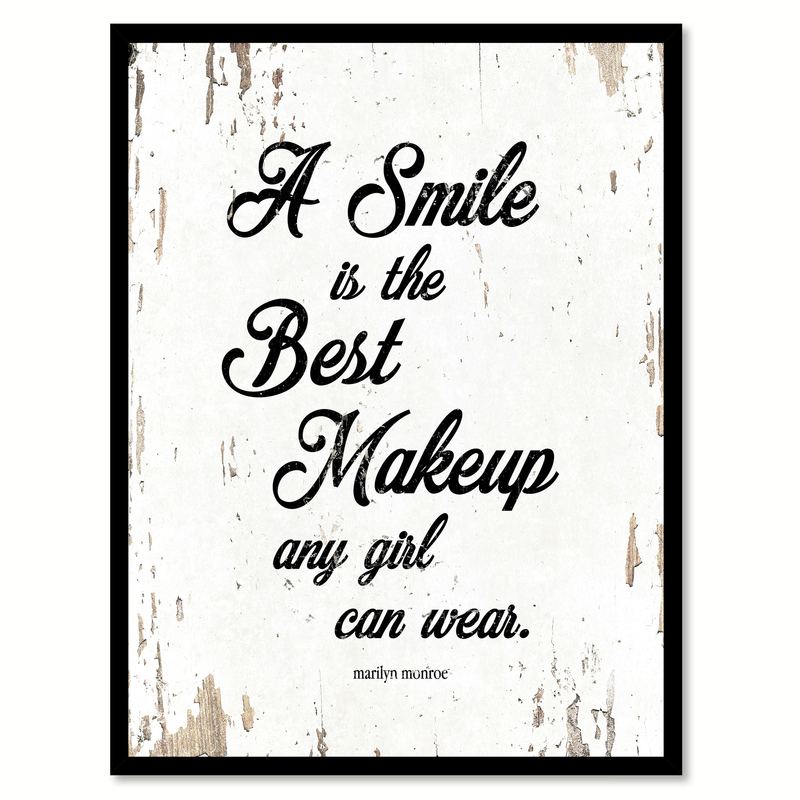 All our wall art is available in a wide variety of colors, and sizes. We accept orders of Small or Large quantities. Design inspired by Inspirational, Positivity, Motivation, Relatable, Spiritual, Smart, Witty, Funny, Happy, Success, Truth, Hope, Faith, Text, Meme, Different, Philosophy, Love, Friend, Family. Shipping Information Every item is made to order, and will be shipped out within 2-5 business days upon successful payment. SpotColorArt carefully handle all of our items to be safe to ship. 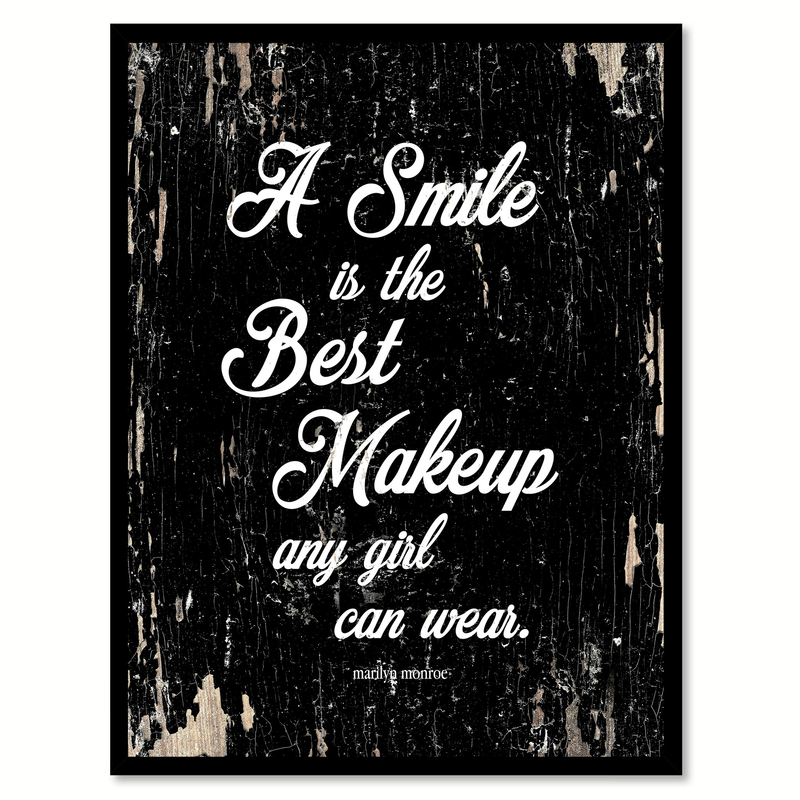 A Smile Is The Best Makeup Marilyn Monroe Quote Saying Canvas Print with Picture Frame Home Decor Wall Art Gifts 121744 - 7\"x9\"
A Smile Is The Best Makeup Any Girl Can Wear - Marilyn Monroe Saying Canvas Print with Picture Frame Home Decor Wall Art Gifts - 7\"x9\"
Good Things Take Time Saying Canvas Print with Picture Frame Home Decor Wall Art Gifts - 7\"x9\"
Our uniquely designedGood Things Take Timesaying framed art print is the perfect gift, or trendy update to any home or office space. An excellent addition to your classical design concept in your kitchen, bathroom, bedroom, man cave, game room, living room, or studio! SpotColorArt is a shop that specializes in Home Decor, we create handmade art for every budget. Perfect for Gift Ideas, Birthday, Housewarming, Restaurant, New Move In, Grand Opening, Bar, Office Decor, Wall Decor, Interior Decoration, Souvenir, and Home Decoration. Beautiful Giclee prints on canvas with custom picture frame for all your interior decoration needs. Update your home decor with modern, vintage, rustic, midcentury, classic, shabby chic, works of art to fit any design motif! 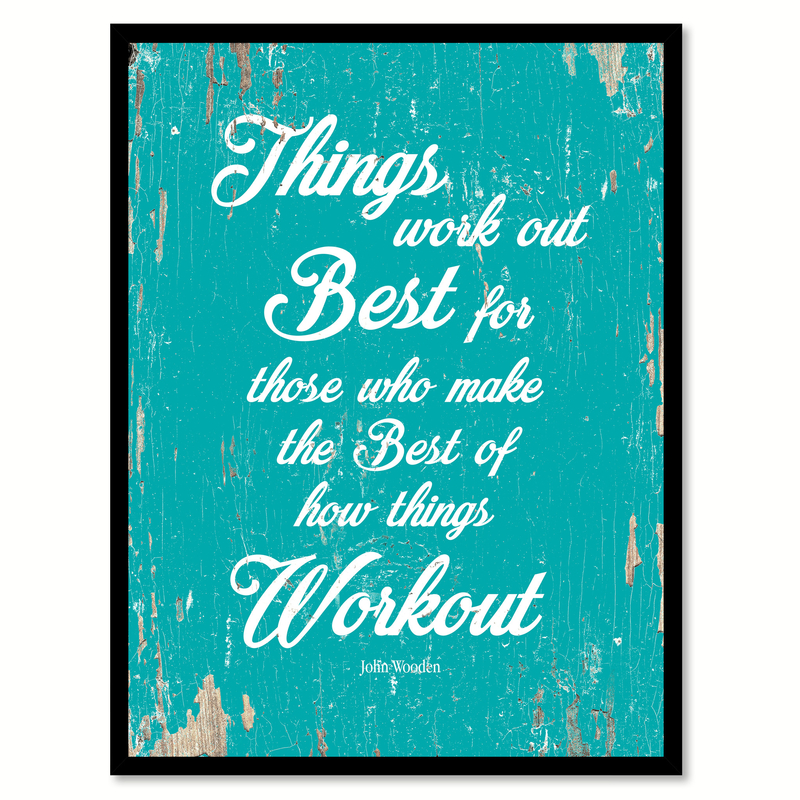 All our wall art is available in a wide variety of colors, and sizes. We accept orders of Small or Large quantities. 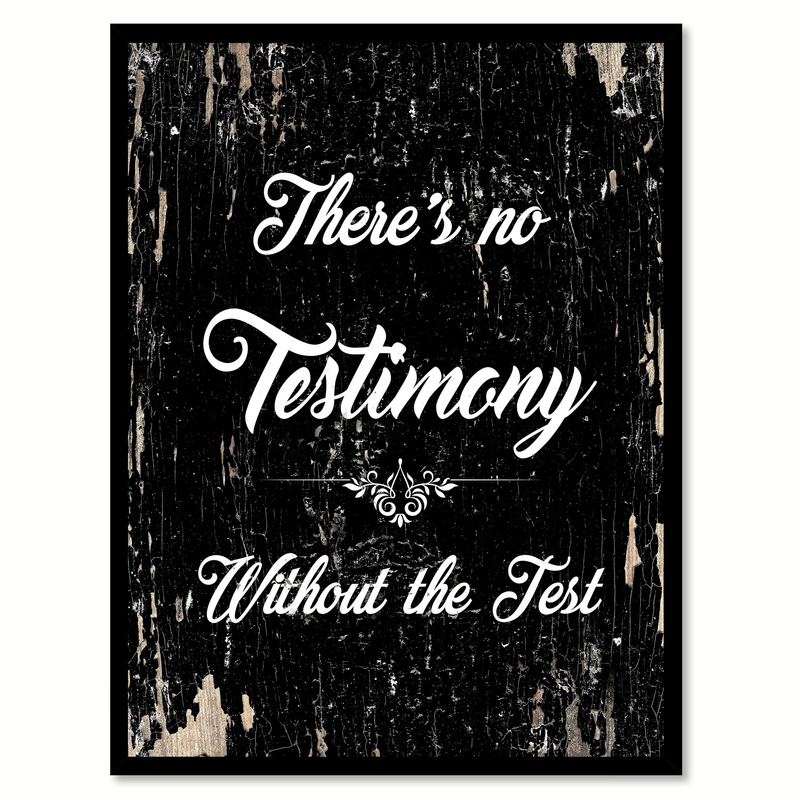 Design inspired by Inspirational, Positivity, Motivation, Relatable, Spiritual, Smart, Witty, Funny, Happy, Success, Truth, Hope, Faith, Text, Meme, Different, Philosophy, Love, Friend, Family. Shipping Information Every item is made to order, and will be shipped out within 2-5 business days upon successful payment. SpotColorArt carefully handle all of our items to be safe to ship. 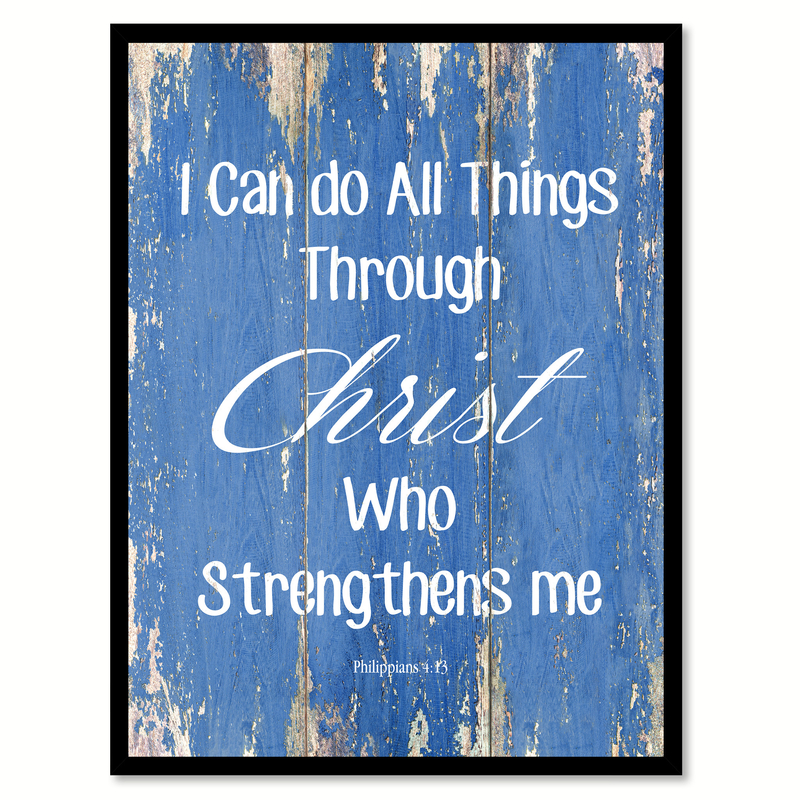 I Can Do All Things Through Christ - Philippians 4:13 Saying Canvas Print with Picture Frame Home Decor Wall Art Gifts - 7\"x9\"
Our uniquely designedI Can Do All Things Through Christ - Philippians 4:13saying framed art print is the perfect gift, or trendy update to any home or office space. An excellent addition to your classical design concept in your kitchen, bathroom, bedroom, man cave, game room, living room, or studio! SpotColorArt is a shop that specializes in Home Decor, we create handmade art for every budget. Perfect for Gift Ideas, Birthday, Housewarming, Restaurant, New Move In, Grand Opening, Bar, Office Decor, Wall Decor, Interior Decoration, Souvenir, and Home Decoration. Beautiful Giclee prints on canvas with custom picture frame for all your interior decoration needs. Update your home decor with modern, vintage, rustic, midcentury, classic, shabby chic, works of art to fit any design motif! 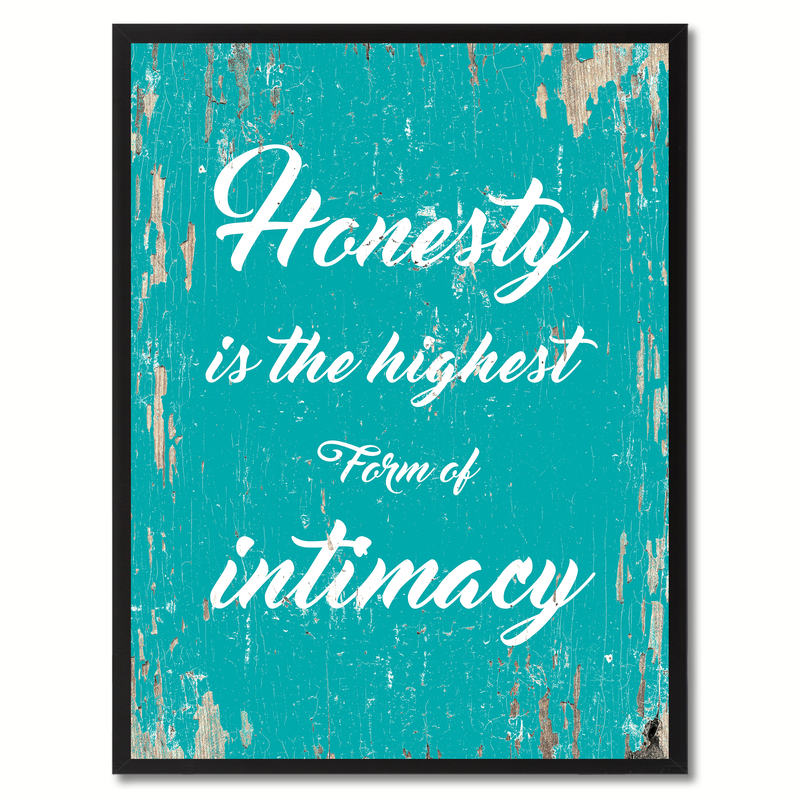 All our wall art is available in a wide variety of colors, and sizes. We accept orders of Small or Large quantities. Design inspired by Inspirational, Positivity, Motivation, Relatable, Spiritual, Smart, Witty, Funny, Happy, Success, Truth, Hope, Faith, Text, Meme, Different, Philosophy, Love, Friend, Family. Shipping Information Every item is made to order, and will be shipped out within 2-5 business days upon successful payment. SpotColorArt carefully handle all of our items to be safe to ship.